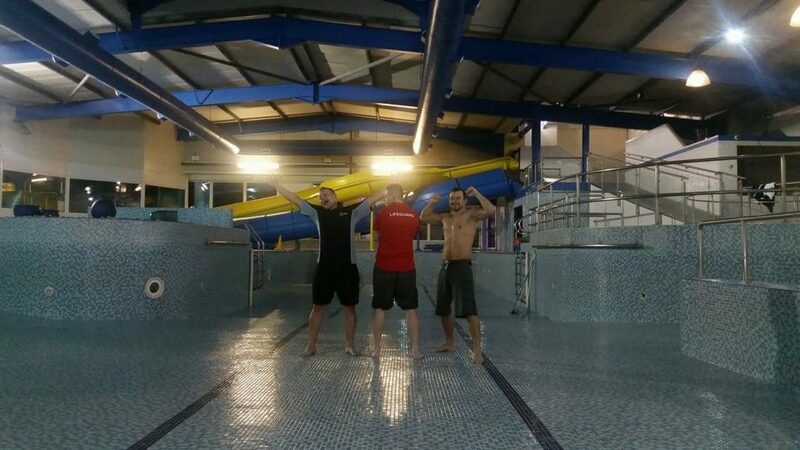 Maciej Jarno, Pool Supervisor; Chris Chambers, Duty Manager; Adrian Nieroda, Head Lifeguard – Finish draining the pool at 3am. Well, finally after a lot of meetings with architects, contractors and management and many months of meticulously planning the work, D-Day finally arrived last week. Health Club management and lifeguards closed the Family Swimming Pool for the final time and set about draining the pool. This was no easy task as it takes approximately 18 hours to fully drain completely. The work took all day and well into the night; with three members of our team completing the work at 3am. As many of you may have already seen, the walkway and tunnel to the changing rooms has now been completed. This will provide access to the adult changing rooms whilst the work on the new pool is completed. The contractors are now on-site and have begun work on this exciting new development which we know all our Holiday Guests and Members are going to love. We can’t wait to share more details with you over the coming weeks. Keep an eye on the Blog and social media for more updates on the NEW Family Swimming Pool.